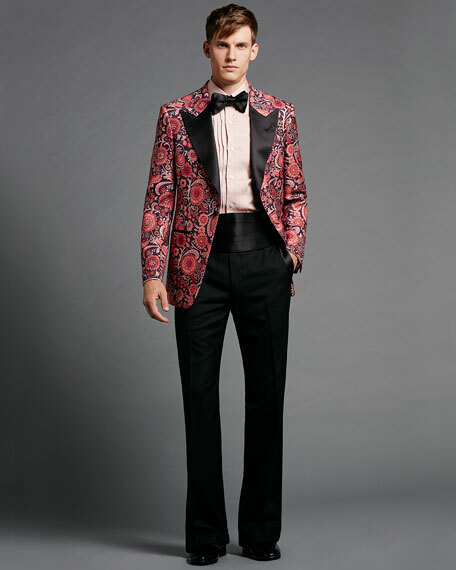 Tom Ford floral-print hopsack tuxedo jacket. Front besom pockets with grosgrain detail. 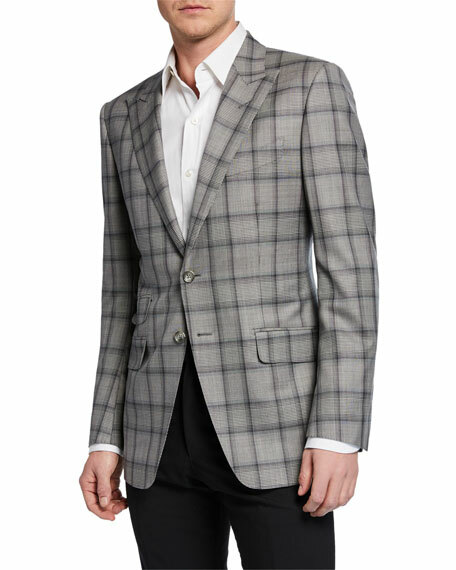 For in-store inquiries, use sku #1882093. 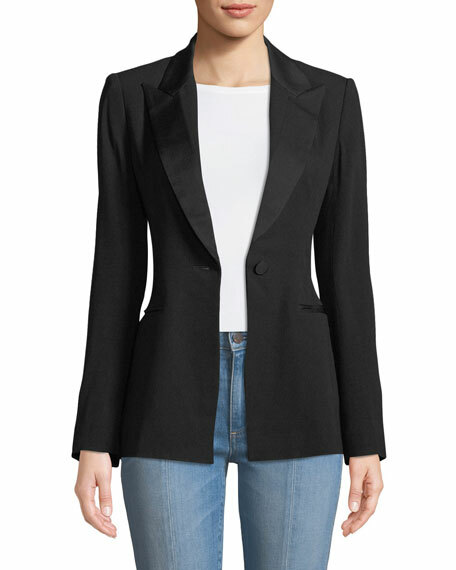 Diane von Furstenberg tuxedo blazer in satin-back crepe. Approx. 28"L from shoulder to hem. 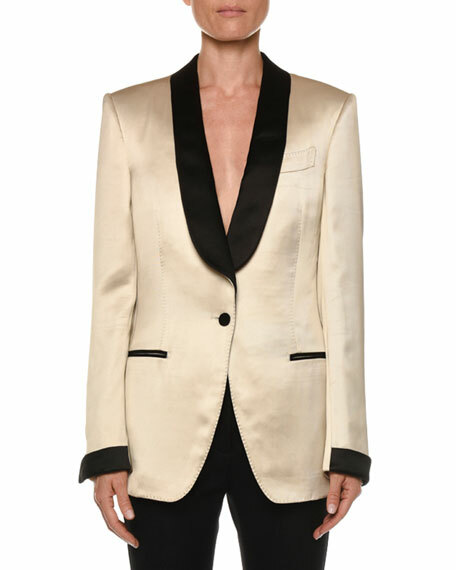 Peaked lapels; one-button front. Cutout keyhole back. 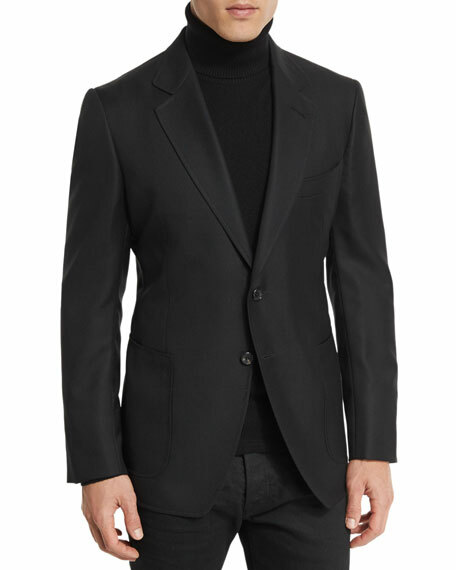 Slim, tailored fit. Welt pockets. 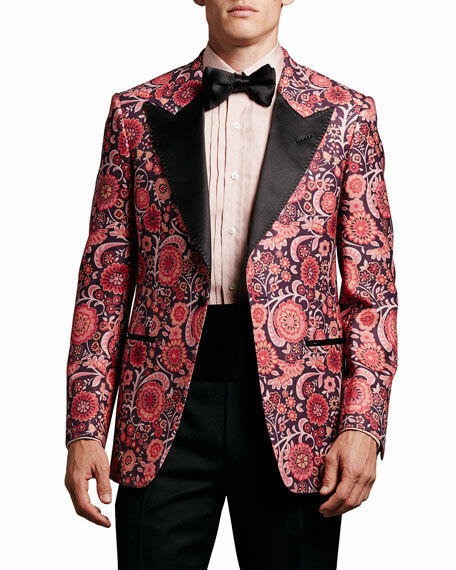 Acetate/rayon. Lining, polyester/spandex. Imported.